This paper studies the reliability of environmental, social, and governance (ESG) assessments in the case of corporate scandals. Reliable disclosures on ESG assessments may reduce information asymmetries when it comes to due diligence, for instance. We use the press release of corporate scandals, which are seen as being unexpected events, and analyze ESG assessments before, during, and after the event year. We find a significant decline in retrospective controversy indicators during the period in which the scandals are released. Subsequent to the scandals, we document a rebound of these indicators. The assessments of forward-looking indicators indicate slightly significant increases during the scandal period. Moreover, our findings show that aggregated ESG assessments consisting of both retrospective and forward-looking indicators are useless when it comes to predicting corporate scandals. 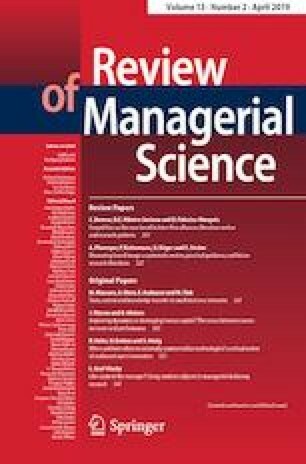 Therefore, the managerial implication of this paper recommends educating managers and investors upon how to obtain a comprehensive vision of the corporate social responsibility of a firm based on single ESG assessment indicators.